Welcome to Gulf Crest! Emerald Coast by Owner happily offers you a number of amazing vacation rental properties that we would love to have you in! Here at Gulf Crest, the location is fantastic. 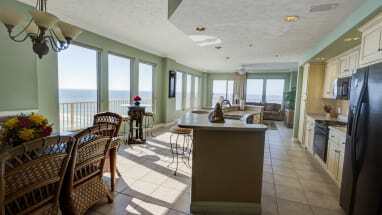 The resort sits right on the shore and is very close to local attractions, shops, and dining! Amenities at the resort offers you two beachside pools, a tiki hut, free wireless internet around the beachside pools, two hot tubs, a fitness center, picnic area with gas grills and so much more! As for the condo units themselves, they consist of 2-3 bedrooms, with full kitchens, washer, dryer, massive private balcony, and free high-speed internet! When it comes to what you'll be doing and all the fun you'll have outside of the resort, you're in luck! Whether you want to parasail, swim with dolphins, go on an amazing helicopter tour or boat tour, rent a jet ski, race go-karts or just about anything else! As for shopping, The Shoppes at Edgewater and Pier Park are the places to go! The seafood and traditional food spots all offer excellent meals. When you book with Emerald Coast by Owner, you are put into direct contact with the property owner or manager to ensure that your questions are answered properly and quickly. Booking direct ensures that you are getting the best price for your vacation rental. 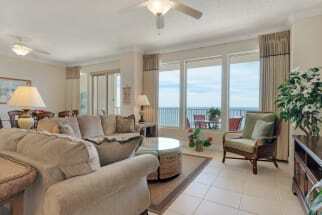 Browse our Gulf Crest Condos below and book one today!